Just when you think you have seen just about everything from the LS world, someone pulls a fast one on you. In an effort to be different, a flat plane crank equipped C6 Z06 Corvette emerged on eBay, of all places. Packing an all-stock outer appearance, the Z06 emits a sound you would never imagine coming from a Corvette. Flatplane crankshafts have become all of the rage recently, thanks to the recent popularity of the 2015+ Shelby GT350 Mustang. 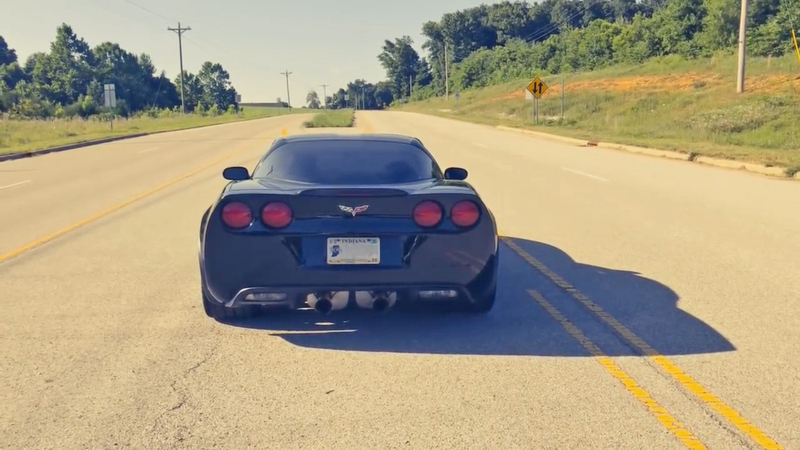 Cranking out over 540hp from a 5.2L, naturally-aspirated engine, that mill screams past 8200 RPM, it’s no wonder that enthusiasts have become enamored with it. The C6 Z06 Corvette on the other hand, produced roughly the same horsepower from a 7-liter LS7, but redlined at 7,000 RPM. Now while Ford fans would be quick to site the displacement advantage of the older Chevy mill, you have to remember that the VooDoo 5.2L in the Shelby is also a DOHC engine, with VVT and plenty other current engineering “witchcraft’ that simply wasn’t around during the LS7y’s heyday. With an 8250 RPM redline, the 5.3L cranks out a total of 560 hp and 450 lb-ft. of torque — not only more than what a VooDoo produces, but magnates it with the the tech and three fewer cams. Nice work!